All proceeds raised will be donated to Hillside Family of Agencies and the MLD Foundation at Mud Tug! Mud Tug has become one of RIT's most popular traditions. 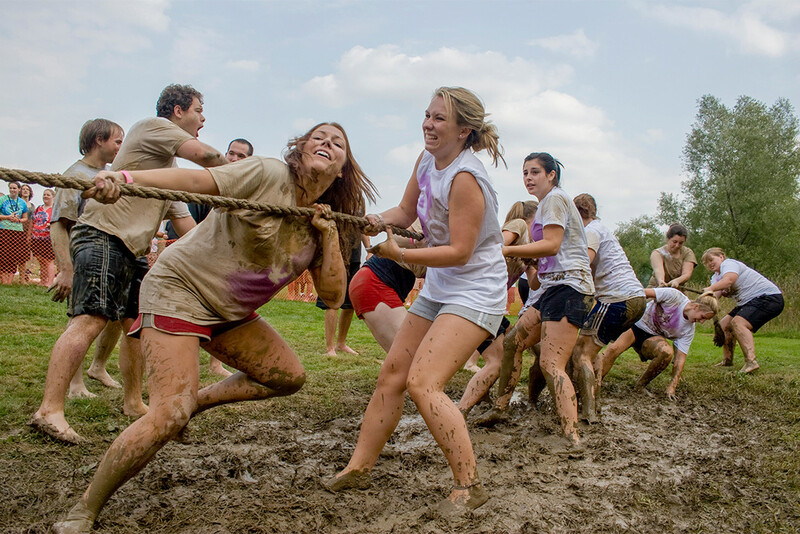 It is a campus wide event featuring a tug-of-war competition between teams over mud pits. This event includes three different brackets: men's, women's and co-ed with each team consisting of 10 starters and two alternates. The winners of each bracket will face each other in the tug of Champions, determining a single Mud Tug champion.